In the gut of patients with heart failure, important groups of bacteria are found less frequently and the gut flora is not as diverse as in healthy individuals. Data obtained by scientists of the German Centre for Cardiovascular Research (DZHK) provide valuable points of departure for understanding how gut colonisation is associated with the development and progress of heart failure. It has long been known that heart failure and gut health are linked. The gut, thus, has a worse blood supply in instances of heart failure; the intestinal wall is thicker and more permeable, whereby bacteria and bacterial components may find their way into the blood. Moreover, scientists know that the composition of the gut bacteria is altered in other widespread diseases such as type 2 diabetes. Against this backdrop, researchers at the DZHK site Hamburg/Kiel/Lübeck investigated whether and how the gut flora in patients with heart failure changes. In order to do this, they analysed the gut bacteria in stool samples of healthy individuals and patients with heart failure. The project headed by Professor Norbert Frey of the University Hospital Schleswig-Holstein, Campus Kiel, was conducted in close cooperation with Professor Andre Franke’s team at the Christian-Albrechts-Universität zu Kiel, which found that the sections of the bacterial genome deciphered the distinction of the microorganism. 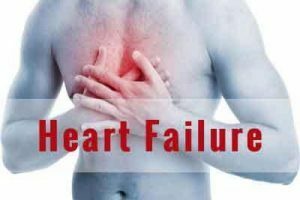 The results showed that a significantly lower proportion of different bacteria are found in the gut in patients with heart failure than in healthy controls. Individual important families of bacteria are significantly reduced. It is still unclear whether the gut flora is altered as a result of heart failure or whether it may be a trigger for this disease. “Of course, other factors also affect the composition of our gut bacteria. We know that the gut flora of a vegan who starts eating meat changes within three days,” explains associate professor Dr. Mark Lüdde of the University Hospital Schleswig-Holstein, Campus Kiel. For this reason, we asked the Kiel-based researchers of dietary habits beforehand. Individuals with an extreme diet, such as a vegan diet, were not allowed to participate in their study. Instead, they chose individuals with a standard diet comprising both meat and vegetables for both groups.